I am trying to pin down just when the interchange between the Central Pacific and the Union Pacific moved from Promontory to Ogden. The schedule from December 2, 1869 seems pretty clearly to show the junction at Promontory. By December 29 it looks more confused, with part of the schedule indicated Ogden, and sleeping cars listing Promontory. Other indications suggest the transition date may have been Jan 1, 1870. Does anyone have any articles form more local papers, such as Ogden or Salt Lake City? The US Pacific Railway Commission testimony (p 4748) has December 6. 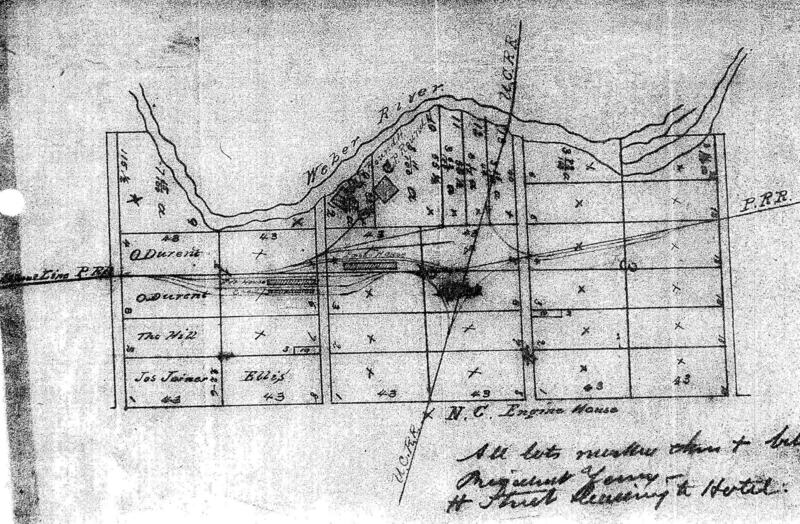 "The common terminous of the Union Pacific and Central Pacific railroads shall be at or near Ogden; and the Union Pacific Railroad Company shall build, and the Central Pacific Railroad Company pay for and own the railroad from the terminus aforesaid to Promontory Summit, at which point the rails shall meet and connect and form one continous line." This resolution also gave the President authority to withhold bond issuance until a first class road was completed. 16 US stats 56-57, 41st Congress, 1st session, March 4-April 10, 1869. —G J Chris Graves, NewCastle, Cal. Many thanks, Larry. Lots of good material there.